November 2016... Canada, Beatles, Beach Boys, Ealing, Liverpool and... The Scotch! (28) Canada – Wow!! Marilyn (hardback edition) suddenly raced back to the #1 position in the “Most Wanted in Monroe, Marilyn” section on Amazon Canada. (27) USA/ World – A big thank you to “Kady” for giving Marilyn a big five-star rating on the renowned Goodreads website. (25) Leafy Berkshire - Phew another day of Beatles archive work. 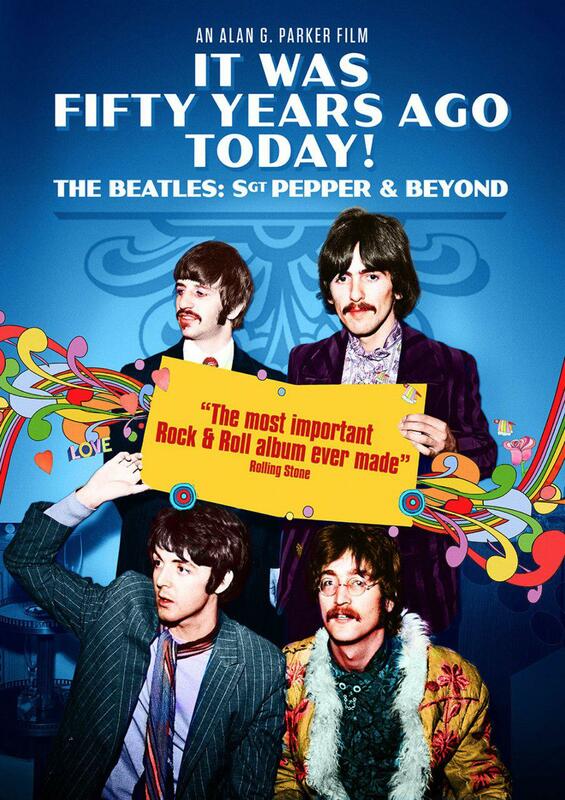 Hot moments today included the arrival, from Screen Visuals, of the 1967 Pepper-era image which will adorn the front cover of the DVD / Blu-rays and appear in advance promotional material for the documentary. (23/24) Leafy Berkshire – Another mad/ busy day of archive research and form filling on the new Beatles movie. - Following a lengthy discussion with producer, Simon Lupton, the working day concluded on a rather exciting bit of news regarding the film/ TV dramatization of Keith’s Marilyn book. (22) – Leafy Berkshire – An archive licensing progress report chat with Chris B at ITN Source, followed by another buy day of negotiating fees and Rights (with three different companies) for the use of a certain image to be used for promotional purposes and on the cover of the DVD / Blu-ray release of the Beatles documentary. Other pieces of extensive archive research on the show also took place today. (16/17/18) Leafy Berkshire – Further extensive archive (film / video / stills) research on the new Beatles movie. The WeTransfer website certainly did overtime during these three days. (14) The Scotch of St. James, London – More Beatles-related interviews were filmed in London for the new movie. Among the luminaries present this day, at this most famous, legendary 60s venue, was noted Beatles author, Philip Norman, and two men famously close to the band in their 60s hey-day, Bill Harry and Tony Bramwell. Keith took great interest when the latter pointed out to him where pop legends such as The Beatles, The Stones and The Animals etc. used to sit when they visited the club. Another high spot for him came when Tony identified the stage (just inches off the floor) where (in September 1966) Jimi Hendrix (I kid you not) gave his very first British performance. “Phew! Unbelievable!” Interviews (and incredible stories) over, Bramwell and Badman shared a lengthy walk back to Paddington Station. (6 – 9) Liverpool, England – Production on the new Beatles movie documentary finally got underway when three of the team on the project, Alan G., Robin and Keith travelled up to Liverpool. With First Class tickets in hand, the fab trio boarded a train at London Euston this morning en route to Beatle-Land. Once there, they all checked-in to their respective rooms at the (most luxurious) Hard Days Night Hotel. Keith (once more) found himself in a “Paul McCartney” themed room. Three nights were booked, one of which was spent watching through-the-night live coverage of the American Presidential Election. Filming in Liverpool went as follows: On the 7th, exterior / location shots were taken at Mathew Street, Penny Lane, St. Peter’s Church, Admiral Grove, Menlove Avenue, Strawberry Field, Forthlin Road, the Ya Cracke pub in Rice Street and (at 5pm precisely) The Beatles Story on the Albert Dock. Interviews with Billy Kinsley & Tony Crane (of The Merseybeats), Debbie & Nigel Greenberg (Cavern club regulars in the 60s), and Freda Kelly (original Beatles Fan Club secretary) all took place on the 8th, the latter being in the “John Lennon Imagine Suite” at the Hard Days Night Hotel. A piece with original Beatle, Pete Best, set to take place on the morning of November 9, failed to materialise due to unforeseen circumstances. (It was swiftly rearranged for two weeks later.) In-between times, Keith paid a visit to (the wonderful, charming and delightful) Anne-Marie who was hard at work in The Beatles Shop on Mathew Street. (A selfie was even taken of the event.) The Beatles’ doc filming team all headed back to London on the 9th, Alan, Robin and Keith once more in First Class, the others in cars. (1-4) Leafy Berkshire - With shooting set to begin in just five days time, Keith continued his pre-production archive research work on the new Beatles film documentary. (26 – till end of month) Leafy Berkshire – Yet more blogging, typing of proposals and additional pre-production work on the new Fab Four ’67 movie. (25) Leafy Berkshire – Even more blogging, emails, discussions and work on the new Beatles movie. The day concluded with some rather news from director, Alan G… a chap, who loomed very large in The Beatles’ inner circle in the 60s has agreed to participate in the movie. (24) Leafy Berkshire – Keith received news from designer, Paul Skellart that our Circus ’68 book was now being printed and should reach the UK in the third week of December. (20) Leafy Berkshire – Meeting with the famous television producer, Simon Lupton. A number of projects were discussed, but the major one was Marilyn, with news that it had progressed by leaps-and-bounds with the announcement that an actress to play the great actress had even been even been approached. (19) Leafy Berkshire – A “Seinfeld” catch-up with two of his old, long-time mates, “Big” Dave and Brian. (18) Berkshire / London – With pre-production work on the new Beatles project now underway, the production team involved on the project received a big surprise today when it was announced that the world famous London venue, The Scotch of St. James, used by the group, and so many other famous music stars and celebrities of the 60s, would be available to us to film some interviews. - Also today The Beatles Book (hardback edition) returned to the No.1 position on Amazon.co.uk and was the “Beatles Best Seller” on the site. - Also today, news reached Keith that the official Cavern club book will be now be released in April 2017. (11) Leafy Berkshire – Conversations were held with Bob Young (about the imminent Cavern book), Paul Skellert (about the Circus ’68 project), as well as with friend, Big Dave. Various blog works was also undertaken today. Plans for the following week, involving a meeting with the highly-respected, comedy and Queen Producer, Simon Lupton were also finalised today. (10) Wandsworth, South West London – Fruitful Beatles movie discussions were held with noted movie director, Alan G. and producer, Alexa Morris. The first proper meeting about the proposed film, with everyone in the team present, was arranged to take place in seven days’ time, October 17. - In America, “50 years ago today,” The Monkees released their first album… the cover of which, remains one of Keith’s all-time favourite LP designs… by far! (8) Slough – Accompanied by his dear Mum, Keith paid his first visit to the new home of Slough Town FC. The team pleasantly won 3-1. “A most enjoyable afternoon was had by one and all,” Mr Badman happily declared afterwards. (7) Leafy Berkshire – First view of the new, highly-recommended, Debbie Greenberg book, The True Story of the Cavern book. (5) Bermondsey – Another trip into London to see Keith’s old mate, Tel. Safe to say wine flowed freely during their 3-hour catch-up. (1) Leafy Township of Berks – Another trip to the fine local dinery, Barratts’ Bistro. August 2016... Liverpool, Canada, Hunter, more No.1s and a Monkee! (31) Leafy Berkshire / USA – Normality returned to Keith’s life when the last of his American guests flew back to the States. - Leafy Berkshire – Back to work, and another Record Collector Rockin’ article to prepare. This month, another look back at ITV’s long forgotten music series, The Geordie Scene from 1974. (27- 30) Liverpool, England – Another, most enjoyable trip to Liverpool, for the annual Beatles Convention, hosted and run by Cavern City Tours. It was also the first time in 30 years that Keith did not present the video show. Meeting friends such as Steve, Bob, Neville, Steve, Gloria and (of course) Anne-Marie, amongst many, many others, it was a most enjoyable 3-days. 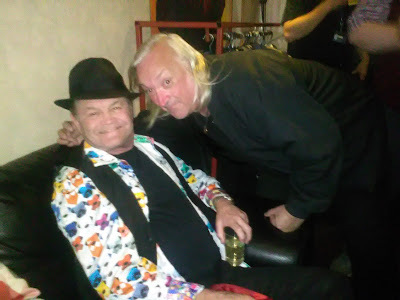 Quite possibly, the highlight of which came on the final day, August 30, when (at approximately 3:40pm) Keith had the privilege of meeting one of his ultimate, all-time heroes, The Monkees’ drummer/ singer, Micky Dolenz in the dressing room of the Cavern Live Lounge. “What an absolute delight to meet him again,” the first being in Reading, Berkshire back in 1989. Keith was also in the audience to watch Micky’s superb performance at the club shortly afterwards. After which, and with his head still spinning, he climbed aboard his train, with friend Mr. Boyer in tow, and headed back to Sunny Slough… to see his dear Mum. (25) Leafy Berkshire – The build-up to the annual Beatles Convention in Liverpool begins when the first of Keith’s three American guests arrive at Chez Badman. (20) Canada – The story continued. Quite possibly the greatest day in Keith’s Marilyn sales history when, on Amazon Canada, in the “Best Sellers in Monroe, Marilyn” chart the hardback was at #1, paperback at #3, (another) hardback version at #4 and the kindle version at #5. Quite simply… INCREDIBLE!!!!!!!!!!!!!!!!!!! - And on the same day, this time in the “Most Wishes For” in Marilyn section, the paperback version was seen in the #2 position… wow!! (19) Canada – Incredible! Amazon Canada, in the Marilyn Best Sellers list, Keith’s The Final Years was spotted in 3 different charts; the hardcover at #1, kindle at #2 and in the “most Wished For” section of the site, the softback edition was seen at #2. All 3 versions in the chart, on the same day. Amazing!! - The finish of the Cavern book text? Was it completed today, we wonder? (17) Canada – It gets better! Marilyn raced back to #1, but this time in the Kindle “Biographies & Memoirs > People, A-Z > ( M ) > Monroe, Marilyn” section of Amazon Canada. Wow! Also today, the ebook version of Keith’s book was spotted at #4 in the “Humour & Entertainment > Movies > Biographies” and at #24 in the “Kindle Store > Kindle eBooks > Biographies & Memoirs > Arts & Literature > Entertainers” sections of the site. Also, The Kindle and hardback versions respectively were seen at Nos 1 and 4, in the “Best Sellers in Monroe, Marilyn” chart, on the very SAME day!! (15) Leafy Berkshire / UK – Hunter Davies’ The Beatles Book, co-written with Keith, due to impressive advance orders, it was spotted at #3 in the “Music, Stage & Screen > Music > Reference” #3 in the “Music, Stage & Screen > Music > Styles > Rock & Pop > Singers & Groups > Beatles,” and at #23 in the “Music, Stage & Screen > Music > Styles > Rock & Pop > Songbooks & Lyrics” listings in the Bestseller Ranks on Amazon.co.uk. (9) Canada – A return to the TOP SPOT, yes NUMBER ONE of the hardback edition of Marilyn in the “Best Sellers in Monroe, Marilyn” section on Amazon Canada. Also #6 in the “Humour & Entertainment > Movies > Biographies” and #7 in the “Humour & Entertainment > Movies > History & Criticism sections on the site. - Interesting, lengthy Cavern club-related phone discussion with the venue’s current co-owner, Dave Jones. (8) Leafy Berkshire – Further research / typing of the Cavern text. “Much of the information presented here has never been in print before,” Keith declared. - UK – A mighty big thank you to “Mr M. Kostyrkaon” for his 5-out-of-5 review of Marilyn (Kindle Edition) on Amazon.co. uk. “I think this is the book that throws light on what really was the cause of Marilyn's death,” he said, “and throws considerable doubt on the various conspiracy theories going about… this book convincingly explains the situation and surrounding problems she had to cope with at the end.” He ends by saying, “Best book I've read on Marilyn.” Thank you, Mr M. Kostyrkaon very much indeed. (1/2)Leafy Berkshire - Record Collector deadline day comes round again. This month, the start of a 4-part look back at the largely forgotten 1970s ITV / Tyne Tees TV series, The Geordie Scene. Also (on the 2) – Keith wrapped another version of the Cavern club book text. It was sent for approval immediately afterwards. A June 2017 release still looks on the cards, as they say.